China's war on jaywalking went to the next level last spring when AI-based facial recognition systems were integrated into some crosswalks, to punish jaywalkers by squirting them with water, sending them texts warning them about legal consequences of jaywalking, and/or publicly shaming them by displaying their pictures and names on large digital billboards. 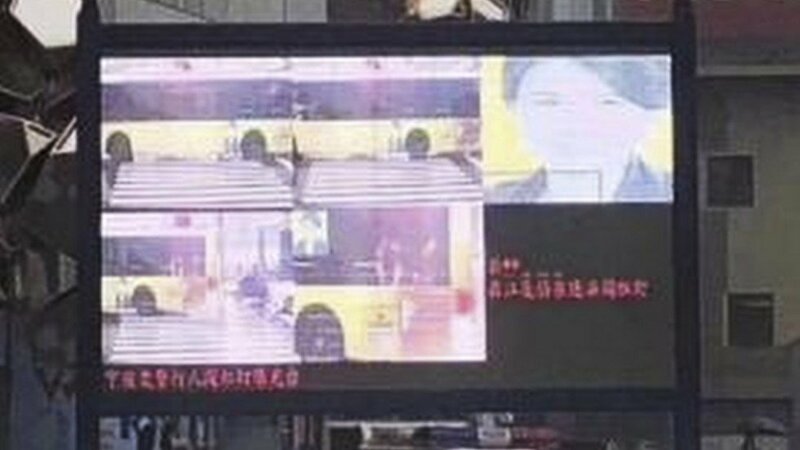 Last week, this system entered a new and exciting failure mode when a traffic-cam in the port city of Ningbo captured a face displayed on the side of a passing bus, correctly identified it as belonging to Dong Mingzhu, CEO of Chinese AC giant Gree Electric Appliances, and then plastered Ms Dong's face all over a giant billboard, falsely accusing her of jaywalking. The Chinese government is currently working to combine the operations of more than 170 million public security cameras to strengthen its surveillance network’s ability to track and monitor the country’s 1.4 billion citizens. Research firm IHS Markit has estimated that the number of surveillance cameras in China could reach 450 million by 2020. Although Chinese citizens have raised concerns about privacy protection, China’s broader initiative to become a global leader in AI has prompted local governments and police departments across the country to embrace facial recognition technology as an important tool for public safety efforts.